It’s been a long time coming, and your retirement lies just ahead. Though some of your toughest money decisions and actions are well behind you, retirement itself represents some significant financial wrangling as well. You’ll want to maximize your benefits by making smart tax planning decisions. So, first things first – get yourself to a retirement specialist you can trust. 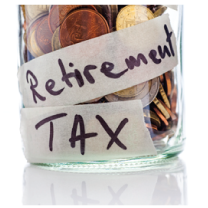 General investment wisdom states that it may be better to tap assets in taxable accounts first, allowing assets in traditional IRAs and other tax-deferred retirement accounts to continue compounding as long as possible. Remember that, with some exceptions, the IRS requires individuals to begin withdrawing money from certain tax-deferred accounts no later than age 70½, at which point you may want to rethink your withdrawal strategy. Strategies for making the most of your money and reducing taxes are complex. Plan ahead and meet with a competent tax advisor and a financial professional to help you sort through the options. Contact Lake Michigan Investment Services by going online to LMCU.org/investments, or call (616) 234-6358 for a free, no obligation financial review of your unique situation.